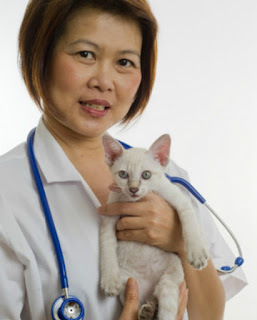 What Are The Top Ten Cat Health Issues? Last year, Nationwide members spent more than $77 million to treat the 10 most common medical conditions affecting their animal companions. Among cats, the most common claim was for bladder or urinary tract diseases. The insurance company received more than 4,700 claims at an average cost of $441 per cat. 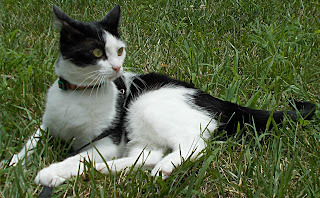 No one knows for sure what causes hyperthyroidism in cats. But you have a good chance of preventing the other top 10 cat health issues by paying close attention to your cat's lifestyle and diet. Stress and dry food are the most common triggers for urinary tract diseases. Dry food can also cause dental disease, diabetes and irritable bowel disease. Some common causes of asthma in cats are pollen, mold and other allergens; dusty cat litter; cigarette smoke; perfume; scented litter and other household products, including air and carpet fresheners. Keeping you cat healthy isn't as difficult as it may sound. All it takes is some thought, careful shopping and a bit of planning. Here are some tips. Get rid of the dry food or use as little of it as possible. Stella and Chewy's freeze-dried chicken chunks are a great dry food alternative. In multi-cat households, provide high places for perching and low places for hiding so each cat can have some personal space. Also in multi-cat households, scatter food, water and litter boxes around your home so the cats can get to the things they need without having to deal with the others. Get your cat outside, even if it's just on a harness and leash . Being outdoors is a great stress reliever. 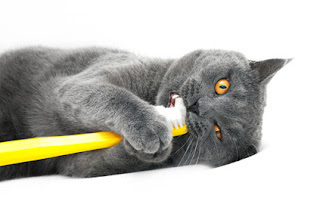 Learn to brush your cats' teeth, or give them chunks of raw meat. The abrasive action of chewing the meat will help clean their teeth. After kitten shots, don't vaccinate or do minimal vaccinations. Your cats will be healthier if their immune systems have something to do. Use unscented litter. Your cats will like it better, and they won't have to breathe lung-irritating fumes. Choose cleaning products carefully. Many contain essential oils that are harmful to cats. Also resist the urge to use air and carpet fresheners and scented candles. While they smell good to you, they can be literally sickening to your cats. At my house, we have just one cat on the top ten list. Myles is diabetic, although I have no idea why. He never ate dry food; he was never overweight and he never came within miles of any kind of steroid. No matter how hard we try, maybe we can't keep our cats in perfect health forever. But we can at least help them avoid the top ten health issues in cats. That's fairly easy to do if we just pay attention to their lifestyles and diets. 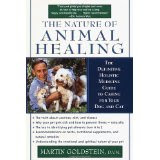 cat health care book .